There is always something more to learn. 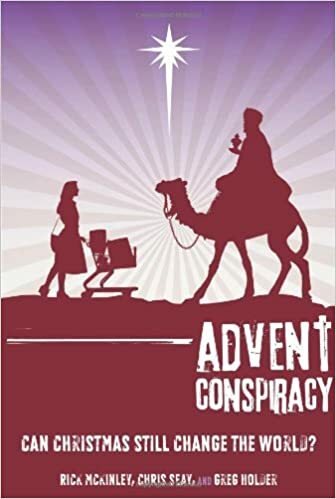 Join Pastor Jesse as he teaches a class during adult Sunday school entitled “The Advent Conspiracy.” During Advent this year, we will explore what it means to reconnect with the spiritual roots of Christmas and find alternatives beyond the consumerism that too often competes for our time and attention. We will (re)discover the true meaning of the season- a celebration and reflection on Christ’s birth that enriches us, not a retail circus that depletes our pocketbooks and defeats our spirits. Learn about replacing consumption with compassion and what it means to worship more fully, spend less, give more, and love all this Christmas season.